Hope you are having a fantastic week so far. We always give away a ribbon carousel as a prize, so come play along! here are heading back to school next week. Not quite sure where the summer went. Ribbon Carousel thru August 13th - you should go check it out!! 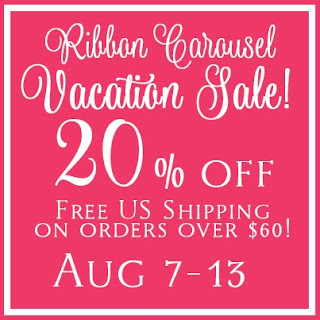 by the blog, and don't forget to check out the ribbon carousels!